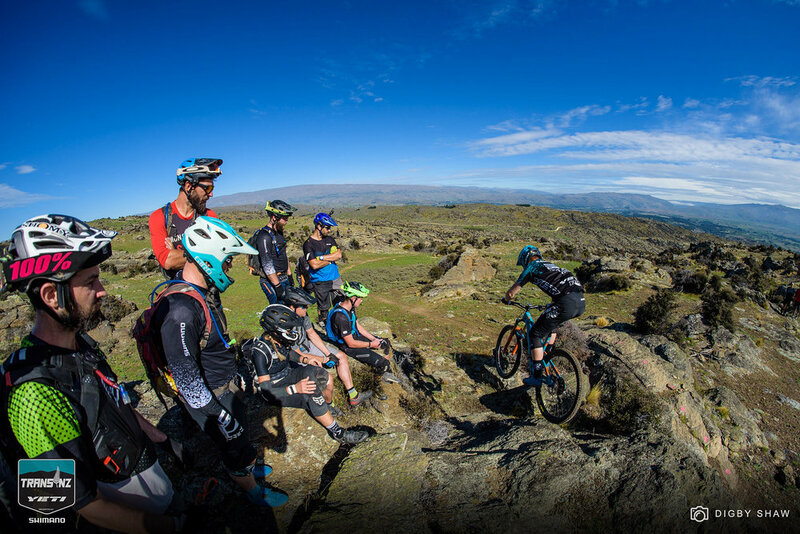 Alexandra played host to day four of the Trans NZ enduro, where riders finally got a full day under bright sun and blue skies. Hopping out of the van at the start of the day, racers stepped into a strong smell of thyme, which thickly covers the hills the trails run through. Thorough sunscreen application was a must due to the glaring sun which baked riders throughout the day. Thyme has been growing wild around Alexandra for over 130 years. It was reportedly bought over by a French gold miner called Jean Desire Feraud. He planted it in his garden along with sage and marjoram, but the thyme spread further than the confines of his veggie plot. It slowly spread through the hills as neither sheep or rabbits like the taste. These days there is over 2000 hectares of the herb growing thickly in the hills through Central Otago, peppering the hillside with purple flowers. This was the backdrop for the most technical day of the Trans NZ. The trails were littered with chunky rock features that punished rims and riders alike. The rocks are marked with pink dots which guided riders onto the right line. Veering away from the dots was a recipe for disaster; in some cases drifting wide would mean a big fall onto sharp rocks. Local knowledge was a huge advantage on the unpredictable trails, as shown by the group of local riders who came out and posted some of the fastest times of the day. Phil Oliver not only picked the course but also got out for a lap with the racers. The stages were chosen by Phil Oliver and Dave Fearnley, two locals who put in a huge amount of work on the extensive trail network. Racers faced six stages which grew progressively more technical throughout the day. The last two stages ran down the physical Fifth Amendment track, which was split into two to give racers a chance to shake out their weary hands. The bottom section pinballed the bikes of those not strong enough to muscle through the huge jagged rocks. The race finished at the local pub, where weary riders welcomed a cold pint and a sit down out of the relentless sun. For the men's field, local knowledge reigned supreme with guest rider Bradley Harris going fastest with a time of 17mins 07secs. Local Cam McHardy was about 25 seconds back, the fastest of those taking on all five days. Jerome Clementz rounded out the top three for the day, and held on to his overall lead. Emily Slaco showed her class by winning the women's category again, in a time of 21mins 07secs. Local guest rider Phoebe Coers slotted into second, about a minute back, with Melissa "Mops" Newell a further five seconds back. 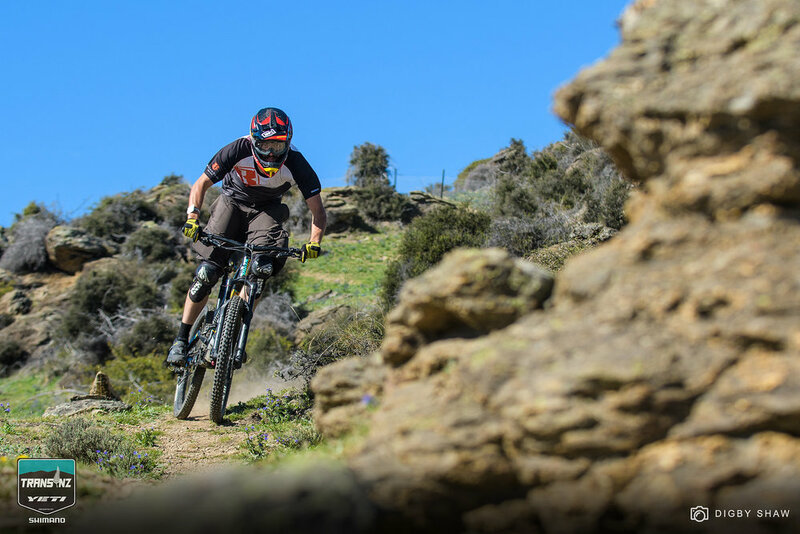 The last day of the race will take riders to the top of the Queenstown Bike Park, before unleashing them into town the next night for the after race function.